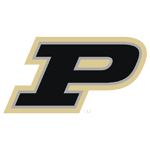 Kyle Macy’s decision to leave Purdue for Kentucky kept Sichting at Purdue, so it wasn’t a bad tradeoff for the Boilermakers. Had Macy stayed, Sichting would have left in search of more playing time. Hard to say who was the better college player, but Sichting wound up having the better NBA career. 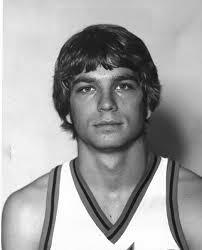 He also benefited from Lee Rose taking over as Purdue’s coach, bringing some structure and discipline to the program. He was a great all-around athlete, good enough to have a scholarship offer from Notre Dame to play quarterback. The story of how he caught on with the Pacers after a year out of basketball is a classic, and his knack for being in the right place at the right time continued when he caught on with the Celtics for their championship runs. He’s best known to a lot of fans for fighting Ralph Sampson, but he’s got a 10-year NBA playing career to his credit. By now he’s done just about everything – coaching at all levels, scouting, broadcasting, running a basketball camp – and qualifies as a bona-fide survivor. He’s remained as down-to-earth as he was as a kid growing up in Martinsville, as you can tell from this telephone conversation.